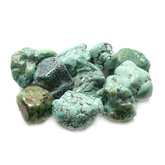 This month, Turquoise has been chosen as the crystal of the month. Turquoise is known as the anti-negativity crystal with the Native American Indians believing it bestows a deep feeling of thankfulness on those that carry it. Why do we become thankless? What causes our thought patterns to work that way? Why do we not show gratitude for all that we have in life? These questions have been highlighted as the theme chosen for the month is Gratitude. Turquoise is known to improve all communication activities especially verbal and the written word. When we make changes to our internal and external voice from the negative to the positive, over time we can only then begin to notice the simple things in life that have been overlooked for so long. Counting your blessings, and acknowledging everything that you have worked hard to achieve and have been fortunate to receive over the years shows that miracles really do happen on a daily basis. Turquoise helps to introduce wisdom and understanding back into our lives. It opens our eyes to the beauty that truly is all around us. When we are absorbed in the negative we really are blind to the wonders that occur on a regular basis. It also assists in promoting self-realisation as it slowly dissolves self-sabotaging thoughts and actions. The daily practice of showing gratitude opens us up to a pure happiness and makes us more aware of exactly what we have achieved in our lifetime. This then works to reduce our stress levels as we no longer totally look towards what we want but rather to what we have already. We often take our life for granted especially the most important things such as our friends and family, our home and possessions, our career. Can you imagine how you react if something suddenly happened and you lost all of the things that mean the most to you. How would you cope? How grateful would you be if it were possible to have these things returned to you. Why wait for them to be taken from you before you realise, show gratitude now. This crystal is very popular for a number of reasons and is widely available. All crystal collections should include a piece of Turquoise as it reduces inflammation and pain as it detoxifies the whole body. 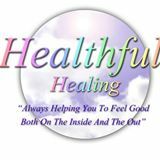 It works to improve the immune system as well as balancing the chakras.